DP World Constanta has renewed its concession agreement with the Maritime Port Authority Constanta for a further thirty years, running through until 2049. DP World Constanta signed the original concession agreement with the Port of Constanta in 2003 and commenced operations in April 2004. 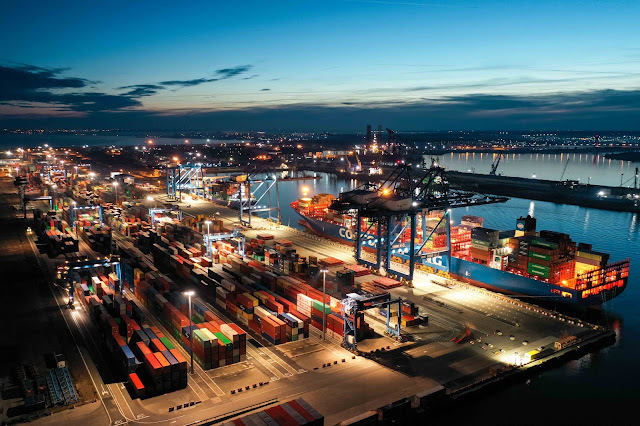 The Port Authority and Constanta Chamber of Commerce have recognised the terminal as the best port operator in Constanta every year since its inception. The new agreement allows DP World Constanta to maintain, operate and further develop the Constanta South Terminal. The terminal serves both the Romanian domestic market and a wider hinterland spreading into parts of Central Europe, together with first-class feeder connections to the Ukraine, Russia, Bulgaria, Georgia & Moldova. The geographic location has also proved ideal as a reliable trans-shipment hub for the greater Black Sea region. DP World Constanta offers importers and exporters in Central Europe speedier and more cost-effective access to the Far East market than movement via the traditional routing over North Continental ports, by avoiding congested inter-modal bottlenecks in Western Europe. To promote this routing, DP World is actively developing an intermodal network reaching out from the port, to assist shippers in the movement of their cargo. The current capacity of the terminal is 1,000,000 TEU, and there is sufficient land area for phased expansion to cater for volumes greater than 4,500,000 TEU. Being a ‘best-in-class’ terminal, with significant capability for expansion, will help drive further value to all stakeholders. Mr. Carstea continued: "The signing of this agreement will further strengthen the strong links between DP World and the government of Romania. It also confirms our long-term engagement to set new standards in improving supply chains for our customers through smarter trading solutions and further developing terminal capabilities."